An island favorite! 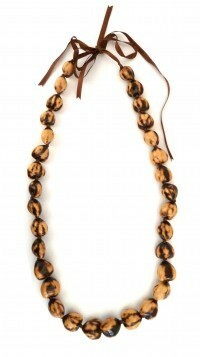 Tiger, or marbled kukui nuts, hand-strung into a gorgeous lei and tied with ribbon matching the color of the nuts. No two kukui nuts are ever the same. Lei measures approx. 28-34" in length.